You may remember when I first mentioned ADVANTAGEOUS among several other Sundance films I was anticipating this year. Well, full disclosure, I kinda forgot about it until it popped up in my "recommended" Netflix queue last weekend. Why didn't anyone tell me it was out this weekend?! Anyway, I caught up with it and I have to tell you, it exceeded my expectations. It's a small film that tackles a massive issue in a very vulnerable way, yielding a story about a mother's love, self-worth, and youth obsession. ADVANTAGEOUS is set in a not-so-distant future (actually, if not for the flying cars, it would be identical to modern times), and follows Gwen (Jacqueline Kim, who also co-wrote the screenplay), a woman working for a technically advanced wellness company that equates beauty with youth and helps women sustain their value by offering a unique procedure that preserves their age. Ironically, as the spokesperson for the company, Gwen finds herself in the position where she has to consider this procedure for herself once she is let go from her job due to her "advanced age. "(By the way, she's probably, like, 40--if that--but still bad for business). As I said, not very far off from today's times. Though the basis of this film is familiar, what makes the film so special are the relationships between the characters and Kim's compelling performance of a woman drawn to desperate measures. As the mother of a young daughter in a society quick to invalidate women, Gwen sees a hopelessness in Jules's (her daughter) future and wants to be able to at least be a role model for her, someone she can be proud of. Through Kim's visceral performance, you feel the agony of each passing day which is only making Gwen older. Another day without work, without promise, and without a real life for herself. You feel that in every scene Kim is in (which is most of them, if not all), the utter claustrophobia of Gwen's life. There's a heart-crushing moment in the film in which Gwen admits that Jules is the only thing that makes her happy. You feel this most in the quiet, bittersweet scenes the mother and daughter share, which ultimately serve to hasten her life-altering decision. But it is only toward the end of film that we realize the cost. 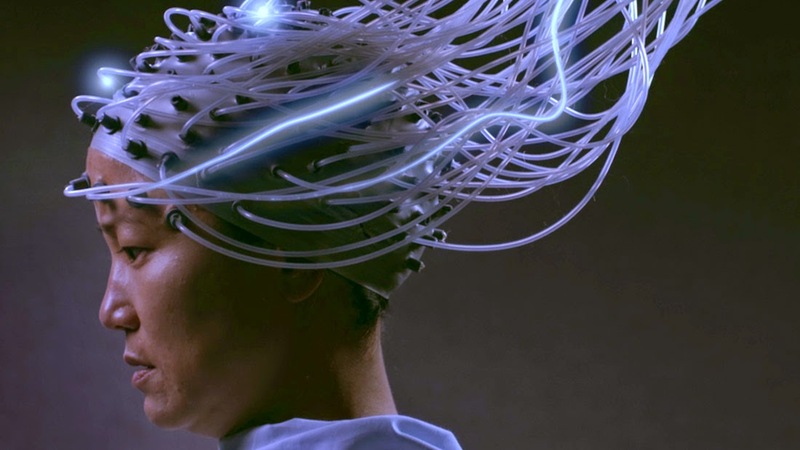 Directed and co-written by Jennifer Phang, ADVANTAGEOUS is a surprisingly touching and purposeful film that revitalizes certain elements of the sci-fi genre while presenting two powerful voices in women filmmakers: Phang and Kim. I look forward to seeing what they have in store next. Wow, thanks for bringing this highly intriguing film up to my attention Candice. The trailer was a real teaser trailer! Am looking forward to seeing.